A move by the Food and Drug Administration to promote more competition for the production and sale of insulin was greeted coolly by some in the industry who said its potential for encouraging competition and spurring lower prices is overvalued. They say there already are insulin options available and the regulatory path the FDA is targeting—one for drugs known as biosimilars—has not seen many generics enter the market in the last three years. Even though the insulin market is relatively small compared to other widely used medications, the several that do exist limit the potential size for a generic insulin market, according to experts. "The potential for biosimilar savings in insulin is less than in other markets," said Andrew Mulcahy, a policy researcher and associate director of the economics, sociology, and statistics department at RAND Corp. Mulcahy authored a 2017 analysis that estimated biosimilars had the potential to generate cost savings of $54 billion over the next 10 years. But he projected the potential cost savings that could come from biosimilar versions of insulin and human growth hormone was roughly half the amount in price discounts compared to other biosimilars. Nevertheless, FDA Commissioner Dr. Scott Gottlieb said that the dearth of competition within the insulin market has led to "artificially high" prices. In a statement released Tuesday, Gottlieb said the new guidelines indicate how the agency plans to transition insulin and human growth hormone products to a faster track approval process. 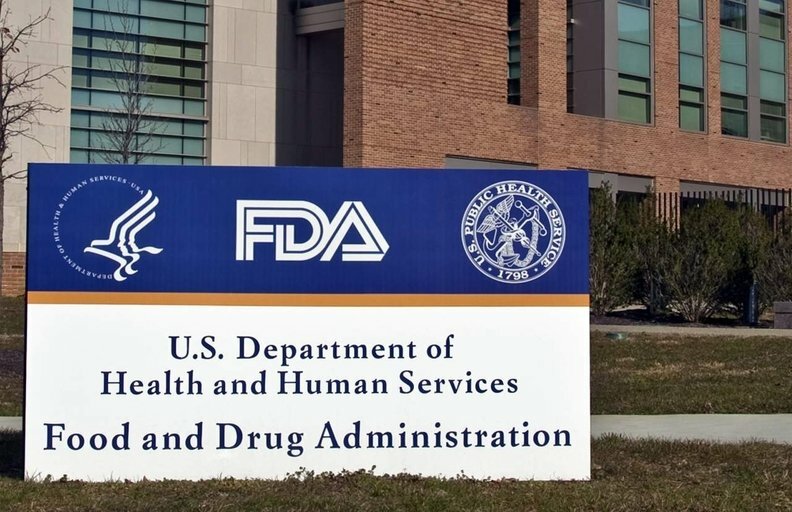 Insulin generics are currently approved as small molecule drugs under the Federal Food, Drug, and Cosmetics Act, but will be moved to be considered biologic products under the regulation of the Public Health Service Act. In 2009, Congress passed legislation to create an approval pathway to bring generic versions of biologics, called biosimilars, to market. Biologics currently approved under the Cosmetics Act will be licensed under the Public Health Service Act beginning in March 2020. The change will mean the possibility of having new biosimilar products for insulin come to the market, which Gottlieb said should spur lower prices due to increased competition. While the vast majority of biosimilars have an advantage since they become the lone competitor for a drug that had the market to itself for years, Mulcahy said insulin was different since a number of insulin producers already exist, so new competitors won't compel prices to drop as dramatically as when other biosimilars were introduced. "The starting point is very different for insulin," Mulcahy said. "Will more competitors help bring down prices further? Yes, but it's starting off from a place where there is already some of that price competition." Insulin as a drug was first discovered in the 1920s when Canadian researchers successfully extracted it from cattle and pigs for use in humans. Yet the price of insulin has risen steadily over the past decade and even more in recent years. The cost of researching and developing innovations that have led to better, longer-acting insulin products has been cited by some for partly explaining the increases in the price of insulin over the years. But the last breakthrough innovations in insulin were made 20 years ago with the development of synthetic "analog" insulin that mimics the body's natural patterns of insulin release. Meanwhile, the price of insulin has seen double-digit increases annually, with the average list price rising 15% to 17% per year from 2012 to 2016, according to the FDA. The Congressional Research Service reported in November the list price of one type of insulin had increased from $35 a vial to $234 from 2001 to 2015 . A 2016 study published in JAMA found the average cost per milliliter of insulin had increased 197% from 2002 to 2013, with the estimated expense per patient greater than the costs of all other diabetes medications combined. Since 2013, the cost of insulin has nearly doubled, rising from an average list price of $405 per prescription that year to $666 in 2016, according to a 2017 analysis by the Health Care Cost Institute. Some say the price increases were drugmakers' way of preparing themselves for the pending price competition from the introduction of biosimilar insulin treatments to the U.S. market. The hike in prices has led to reports of patients rationing their insulin supplies by taking less than their needed dose to make the medication last until they can afford to buy more. Although traditionally regulated as a small molecule drug, insulin is a biologic. That discrepancy within the law has made it difficult for others to introduce generic versions since biosimilars are not identical to their brand-name analogs because they are derived from living organisms. Gottlieb contended the way insulin has been regulated has created a small market of insulin producers. Just three companies—Sanofi Aventis of France, Novo Nordisk of Denmark, and Eli Lilly and Co. in the U.S.—hold 90% of the insulin market. He said the new approval pathway should make it easier for others to enter the market, which he felt would lead to lower prices and expanded access for patients. Under the guidelines, the currently marketed insulin products that transition to being licensed under the Public Health Service Act will not be eligible for the 12 years of market exclusivity that newly licensed biologics receive. "We're at a crucial stage in the development of a competitive market for biological products and the FDA is committed to efforts that advance the science and policies to make the development of biosimilars and interchangeable products more efficient," Gottlieb wrote. "These changes and opportunities are long overdue—especially when it comes to insulin." More than 100 million adults in the U.S. live with diabetes or prediabetes, according to the Centers for Disease Control and Prevention. Many have projected the biosimilar market will reap billions in discounted price savings by offering cheaper versions of drugs that can cost hundreds of dollars per dose. But as a whole, uptake of such products into the market has been slow since the 2015 approval of the first copycat biologic, Zarxio, a biosimilar produced by Sandoz that's an alternative to Amgen's blockbuster biologic cancer drug Neupogen. Mulcahy believes some product makers have delayed putting their biosimilars on the market because of an aggressive patent litigation strategy by biologic makers and regulatory questions over issues such as interchangeability; the FDA determines if a biologic is interchangeable, or can be switched out for a biosimilar with no significant therapeutic risks. So far, the FDA hasn't designated any biosimilar as interchangeable with a brand-name biologic reference drug. "They're just kind of hanging out until they can enter with less potential risk," Mulcahy said.